Broadband News » What Business DSL Speeds are Available at your Location? Internet Service Providers offer a range of Business DSL speeds. A key advantage of Business DSL (Digital Subscriber Line) is that it is now widely available and cost-effective. 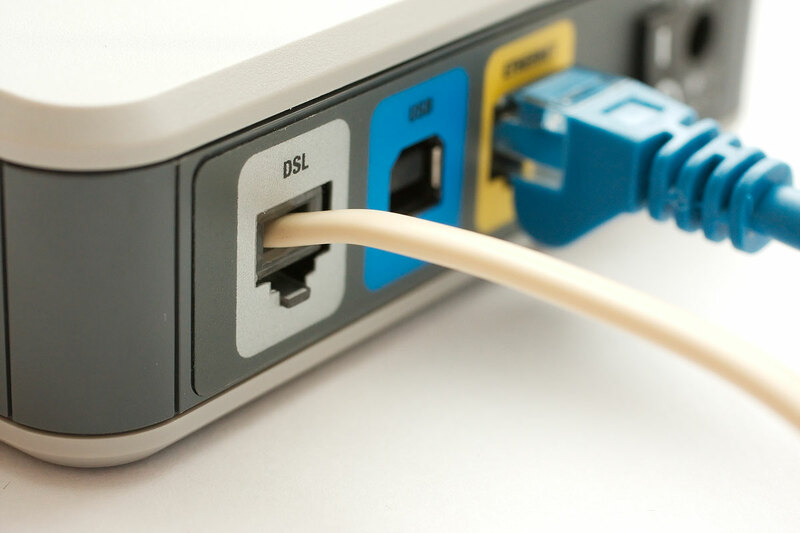 Most Internet Service Providers offer a range of Business DSL speeds adequate for connecting small to medium-sized businesses and remote workers. When it comes to business connectivity, DSL and Cable are two technologies that you should research to find the best fit for your broadband needs. Many providers also offer bundled services that include Internet, TV, and Voice that could save your business money. Pricing varies greatly between providers and plans. There are plenty of online tools that will evaluate the services available at your location. When researching, we recommend considering the best promotions as part of your comparison. Many DSL providers offer fairly attractive introductory offers. BandwidthPlace Business Consultants can also assist in your research. Our service for Bandwidhtplace.com visitors is always free and we take a non-sales approach when recommending services. Check out our “Get More Speed” tool and let us know about your business requirements. High-Speed Internet at a significantly lower cost than a T1 line. Business DSL has scalable options that allow for multiple speeds and configurations. Business DSL speeds are generally very stable and highly reliable. Virtual Private Network (VPN) service, IP VPN remote access, plus plenty of Teleconferencing and VoIP service options are available with DSL packages. DSL providers are always expanding their coverage. Inexpensive equipment, setup and service. DSL is not the fastest option. Other types of broadband offer faster speeds. Dedicated DSL is available, but if you are on a standard DSL shared line, your speeds will fluctuate. Availability is distance sensitive based on your business location and the Provider’s facilities. With shared DSL, if your phone line is down your iP services will be interrupted. What’s the difference between ADSL, Dedicated ADSL and SDSL? ADSL is asynchronous DSL—a type of Internet service commonly used in homes that provides faster download speeds than upload. The speed is to support users who frequently download large amounts of data. ADSL uses telephone lines to send and receive data at high-speeds, while still allowing users to talk on the phone. ADSL is typically not as fast as cable Internet and is not accessible to all customers (specifically rural locations). There are multiple versions of ADSL, like ADSL2 and ADSL2+ that have higher Internet speeds—rates from 12 to 24 Mbps for downloading. There’s also Rate Adaptive DSL (RADSL) that can adapt to specific lien conditions and change bandwidth speed accordingly; and Very High Bit-rate DSL (VDSL) that offers download speeds up to 52 Mbps—but is extremely location specific. DSL is a shared connection, similar to cable, so if multiple businesses close your your location are using it, it will slow down. Dedicated ADSL or SDSL is a dedicated line, with guaranteed DSL speeds. This is ideal for businesses that use VoIP, because voice runs over the same connection and uses significant bandwidth. SDSL is symmetric DSL, which offers symmetric bandwidth upstream and downstream, i.e., same upload and download speeds, and is ideal for businesses that transfer lots of data and prefer not sharing the line with voice. Overall, DSL is reliable, affordable and scalable. It’s ideal for SMBs and home offices that download large files, use cloud-based applications, or require high-speed Internet access for day-to-day business operations. Business DSL is ideal for companies between 1 – 100 employees looking to improve their bandwidth service.